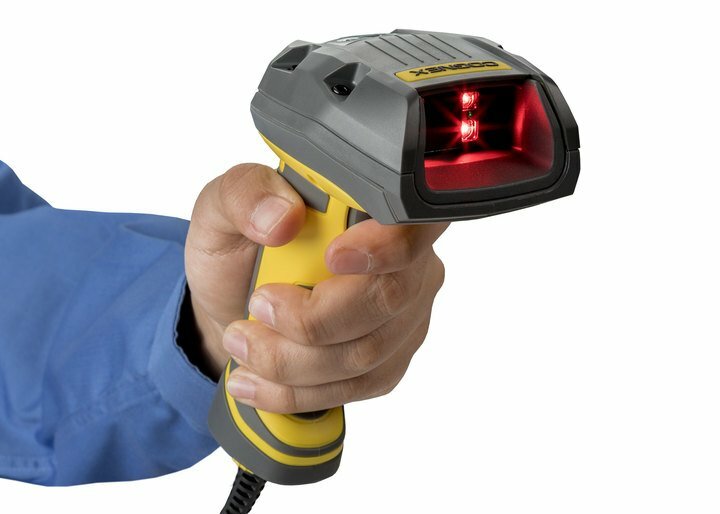 Cognex Corporation (NASDAQ: CGNX), the leader in machine vision and industrial barcode reading, today released the DataMan 8070 series of handheld barcode readers. Two new models deliver powerful barcode reading performance and ease of use at an exceptional value. The DataMan 8072DL is designed to decode direct part mark (DPM) codes on flat, highly reflective surfaces. With patented algorithms and advanced sensor and lighting technology, the DataMan 8072DL can read codes from up to 30 centimeters away without angling the code or part. The DataMan 8072ER is built to read 1D and 2D label-based codes from up to eight meters away, ideal for scanning pallet labels on high shelves or slips hanging from a warehouse ceiling. Both models feature rugged housing to withstand harsh factory and warehouse floor environments, as well as field-interchangeable communication modules that seamlessly integrate with factory networks. To maintain high levels of barcode quality and read rates, Cognex also recently released the DataMan 8072V, a high-performance DPM barcode verifier. Paired with the DataMan 8072DL, the DataMan 8072V helps customers demonstrate code quality, certify readability, and prevent read failures. The DataMan 8070 series is available now. For more information, visit cognex.com/dataman-8070 or call 1-(855) 4-COGNEX.